Offer proposals for a holiday in the Dolomites for the whole family. 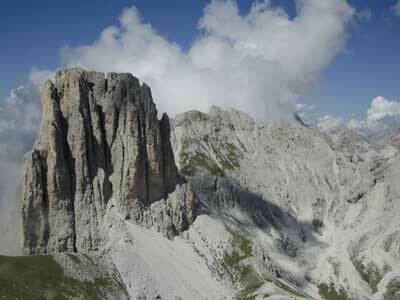 White weeks, participation in guided hikes, culinary specialties of South Tyrol. From 8/10/2019 to 9/1/2019 - 7 nights from € 801,50 per person in a double room comfort "Riesling"
Summer time! The does what is does the best. Make the best out of it and cool yourself down in out outdoor pool! Are the mountains your world? 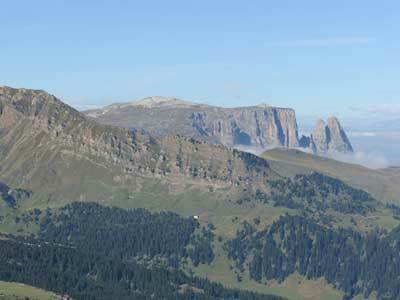 Then it's best to book your summer holiday in Val d'Ega/Eggental, because here, the Dolomites are within reach. From the comfortable hut hike to worthwhile mountain tours and exciting climbing adventures – with us, everyone will find their true holiday happiness. 7 nights with ¾ board from 599.00 euros per person. Escape everyday life and treat yourself to a well-earned break at the Hotel Alpin. Find relaxation, recharge your batteries, let yourself be pampered... and enjoy one day of holiday free of charge! Short and sweet, long and sweeter. If you spend 14 days at the Hotel Alpin in the box seat above Merano/Meran, you will receive one night free of charge – and can return home full of energy and happiness. Your short holiday in Val Pusteria. 4 nights with Die Waldruhe LIGHT 3/4 board from 352 euros per person. Enjoy a great summer vacation! 7 nights with Die Waldruhe LIGHT 3/4 board from 525 euros per person. 7 nights with half-board from 1.026 euros per person. Activity, indulgence and relaxation in perfect harmony. Enjoy all aspects of the summer! 7 nights with half-board from 816 euros per person. 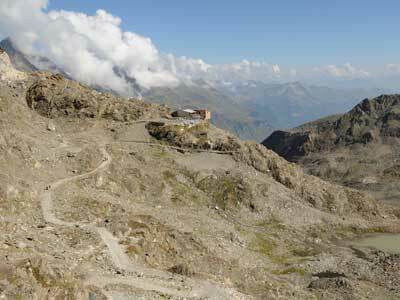 Everything about the holiest mountain of the Alps: Mount Sciliar - UNESCO World Heritage. Tinted in weathered shades of rose, yellow and grey, the fairy-tale spires and dramatic rock walls of the Mount Sciliar rise in elegantly chiseled shapes of fantastic form, looking every inch like a landscape devised by the gods. And if this isn't exactly heaven, well, it's about as close as you can get. Join us on our favourite hiking trails on the Mount Sciliar and you'll hear the story of the holiest mountain of the Alps with all its legends about witches, gold treasures and nature godness. Celebrating 40 years of activity we offer you 1 extra holiday day! Don't miss this extraordinary opportunity and enjoy a relaxing holiday in our beautiful mountains. 10% discount on beauty treatments until 3 p.m.
Südtirol/Alto Adige Balance: "Active and healthy in spring"
As the countryside awakens in spring, the urge to get out into the open air gets ever stronger and draws us out into the great outdoors and the spring air. "Active and healthy in spring" is the order of the day in the Alpe di Siusi holiday area. Offer valid for the category Classic Sole Top. Other room categories on request. Enjoy a wonderful summer holiday at Klausen. 7 nights with half-board from 434 euro per person. 7 nights starting from € 894,00* per person in a Classic Sole Top. * The package price is quoted per person for the "Classic Sole Top" room category in the period from 5/26 - 6/2/2019. Further categories and periods upon request. Brace yourselves for an unforgettable time together with your loved ones! From the most exciting trail flow to the great cinema offered by the Dolomite, here with us you will get your money's worth as a skilled trail biker. All this and much more is at your disposal thanks to our Carezza Trail Camp in Nova Levante/Welschnofen. A dense network of tours and technical challenges with train and shuttle connection amplify the fun on two wheels. The goal should be to further develop your riding style, which is why we dedicate every day to a new topic. Prerequisite: S2 level, and experience with a trail bike. 7 nights with 6 days half-board from 1.000 euro per person. Treat yourself to a holiday in South Tyrol and visit us in Chiusa/Klausen. Relax in our garden oasis, join us on a hike to our own hut, and benefit from out 4=3 special now! 3 nights with breakfast from 225 euro per person. In suite "Gräfin Peterson" (41 m²) with bath/WC, separated living room and balcony to the south with panoramic mountain view. From 4/5/2019 to 10/30/2019 - 4 nights from 426 € p. P.
A harmonious way to celebrate with your loved one! Your feelings serve as our guide, so simply relax in a cozy atmosphere for two. We offer you the perfect setting! Badl Gourmet Week "Hiking and Being Active"
From 4/5/2019 to 10/27/2019 - 7 nights from 718 € p. P.
Enjoy a relaxing week at the beautiful wine village of Caldaro/Kaltern. Spend the Spring in a heavenly idyll in the heart of the Dolomites and receive one day for free. Get out for some days! Perfect relaxation – Allow yourself some time off and let yourself be pampered.